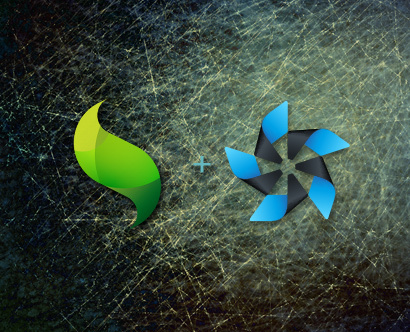 I just learned that Sencha Touch is coming to Tizen and is being made possible by a partnership between Sencha, Intel, and Samsung. This is super interesting considering a few things, the main one is that Intel had acquired App Mobi presumably for the same purpose – to provide developer tools for the fledgling operating system. While AppMobi is available today Sencha has not released a timeline for official Tizen support opting instead to mention that the feature will be coming to their toolset at a later date. One of the features that makes Sencha a competitive toolkit for developing web apps is that you no longer need to leave the Sencha environment to package an app as they offer a native wrapper of their own via Sencha Cmd. Granted, it is young and may not have the breadth of features that PhoneGap has but the lure of not having to find the right mix of PhoneGap builds and PhoneGap plugins for a project, and discovering what is broken and the work-arounds, if any, is pretty compelling in my book. While the open-source world can likely move faster to squash bugs than a for-profit entity I do like the implied support that comes with using the “all-in-one” development toolsets. Afterall, you’ve just bought their software so they have to offer support. Not so with the free open-sourced PhoneGap plugins. I should say though that you can get support for PhoneGap itself via a paid subscription program (Sencha has a similar support mechanism), otherwise you’re at the mercy of the open-source community for plugin support. True, they seem like a competent bunch but its still a risk and one that needs to be considered given Apple’s proclivity for changing their OS at whim. When that happens there is a cascade of issues and activity that ripples through the entire PhoneGap community. Its not fun being the end user (or customer) waiting for the kinks in that sometimes long chain to get fixed. While Sencha Architect is a desktop app AppMobi’s approach foregoes that approach in favor of the cloud. The dev environment runs in the browser (Java) and they compile in the cloud, sort of like PhoneGap’s cloud compilation service (which, btw, has at last count 3 plugins supported which severely limits its use). Together both AppMobi and Sencha are offering solutions that are integrated and turn-key – no other software is needed and there are no other environments to learn/sign up for/install/troubleshoot, etc. Having created PhoneGap-based applications for the past two years I’m finding that such advantages are pretty attractive and I’m currently looking for a framework that has them. As with anything in tech, the promise is one thing, actually delivering is another. PhoneGap is well entrenched and has the widest list of features (via plugins). The first Tizen device is hitting this year (said to be in Q3) and when it happens part of the announcement will undoubtedly be the developer options available. I for one will be reading forums and blogs for developer reactions to the those tools. HTML5 is the way of the mobile future and has been for a while. Other HTML5-centric mobile OS’s are coming but none have a hardware backer on the scale of Samsung and Intel. Time will tell if Tizen will take off but its exciting to see the acquisitions and partnerships being made toward the initial product launch. As for Intel’s involvement it is a forgone conclusion that the first Tizen device will have an Intel mobile chip in it (the revamped Atom?). Beyond the hardware and AppMobi tools they also seem to be offering a UI layer for Tizen currently known as “Obsidian”. The assumption here is that by offering a UI that would likely be optimized for the Intel silicon experience that they will be able to incentivize adoption of their chips into future Tizen devices. It is interesting to note however that Samsung is also a chip manufacturer. As much as Intel would like to get into the phone/tablet market one can’t help but notice potential conflicts of interest in their partnership. As a valued user of appMobi* HTML5* tools and services, I am pleased to let you know the developer tools and build system business portion of appMobi was acquired by Intel Corporation on February 21, 2013. In addition, Intel hired the tool development team from appMobi. With our combined development teams, we can extend the HTML5 tools capabilities. While the names and location of the tools have changed, the same capabilities are there for you. You can continue your work, accessing the tools, your work files, and appMobi’s cloud services. We do need you to sign up with Intel at http://software.intel.com/html5tools . It will take just a minute and you become part of Intel’s developer program, with access to the HTML5 tools and build system at no cost. At Intel, we are committed to delivering HTML5 tools that inspire you to create and deploy more HTML5 cross platform apps. Our goal is to increase your productivity and expand your customer reach. Working together, Intel and appMobi will continue to serve your development needs. I hope you will also visit http://software.intel.com/html5 to learn about the latest HTML5 developments from Intel.